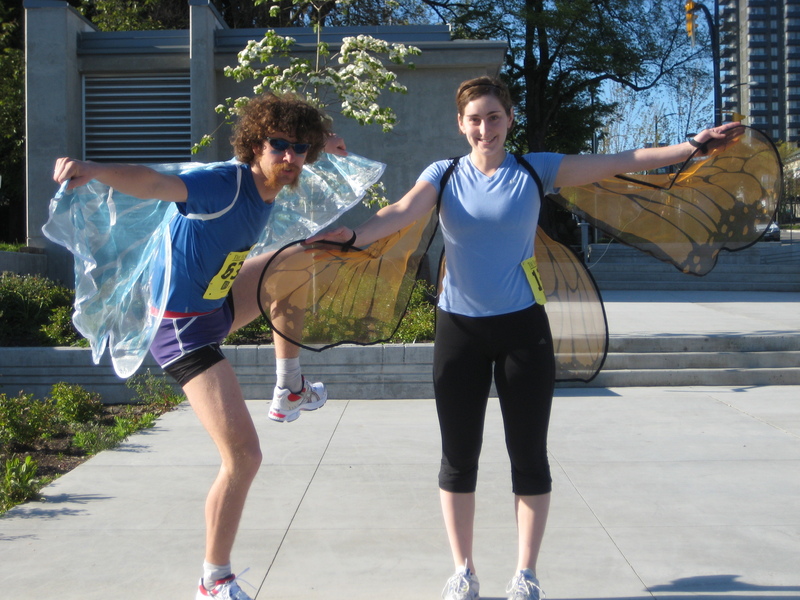 The Vancouver Sun Run is on April 17th. Each year tens of thousands of people participate. Last year I ran it with my good friend Sarah. We dressed as garden fairies and pranced for 10 km. Not all children cried when they saw me. In retrospect I guess I don’t actually look all that friendly. This year should prove to be exciting again. I will be dressed as a fair trade banana. You can too! We’ll split the crowd as we run, and peel across the finish in style. The event is being organised by Fair Trade Vancouver. Being as I ought to train for that too, I did a 5.2 km run this morning.